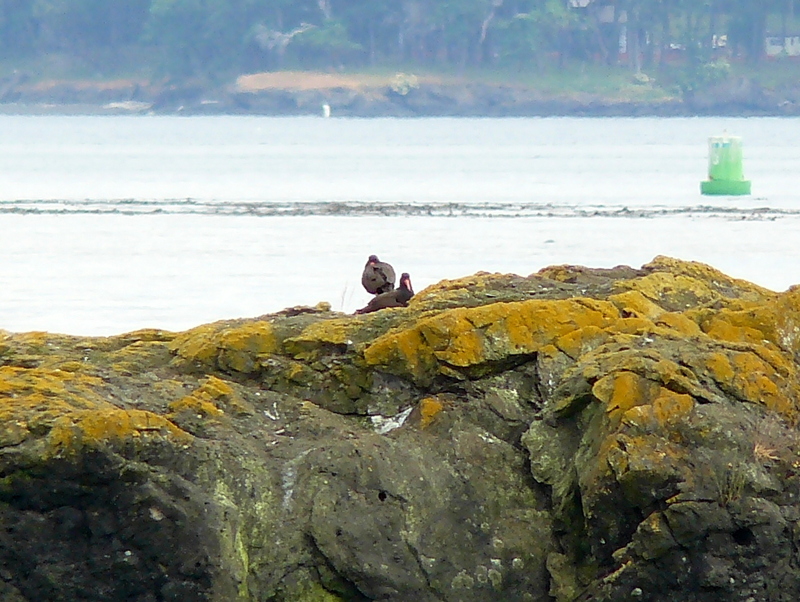 Black Oystercatchers nesting on the rocks off of Sentinel Island. 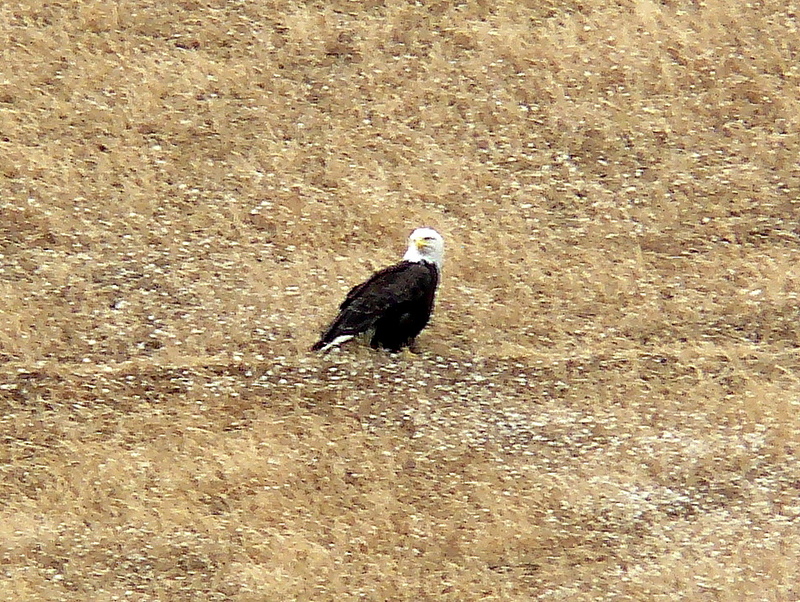 Bald Eagle on the ground of Spieden Island. Whales out of our range, but a lovely, sunny, calm, summer day lead us to Stuart Island, the most northwestern part of the lower 48 states! There on the cliff called Lovers Leap, we saw and heard Peregrine Falcons!! 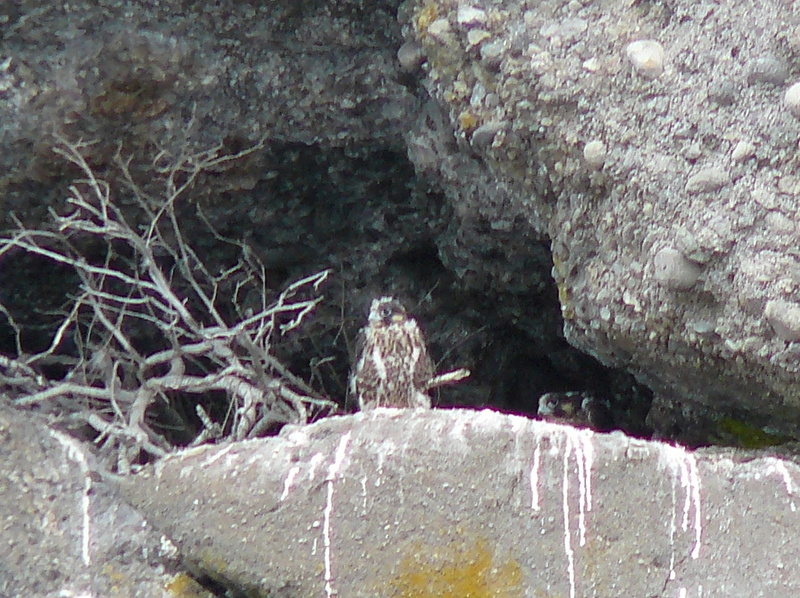 As suspected, there are 2 fledglings who were peeking out of the cliff nest. One of the falcon parents’ was further up vocalizing. So I’ve included the short video I took. They blend in well with the cliff colors, but you can hear the adult falcon!